Sometimes it really pays to get to work on-time. 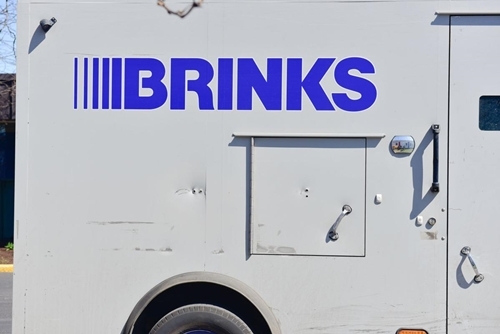 That was the case last Thursday morning, when a Brinks truck showered commuters in Indianapolis, USA, with approximately $600,000 in cash. 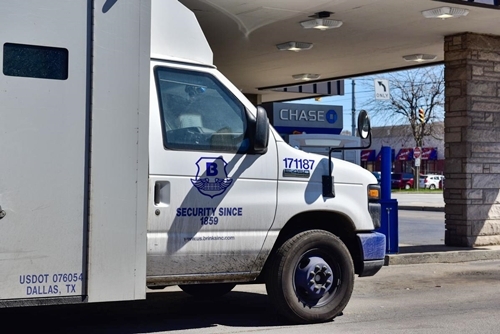 Drivers on Interstate 70 in Indianapolis, Indiana, were unexpectedly showered with hundreds of thousands of dollars after the back of a Brinks armored truck blew open on the interstate. Fox News reported that the truck's back security door swung open around 9 a.m. on Thursday. It's not clear how the door came open. Law enforcement initially estimated that as much as $600,000 was deposited on the interstate. But Indiana State Police Public Information Officer Sergeant John Perrine told AP that it's not clear how much money is currently unaccounted for. Some drivers reportedly pulled over along the road to scoop up as many loose bills as they could. Other individuals ran over on foot to collect some of the discarded bills. 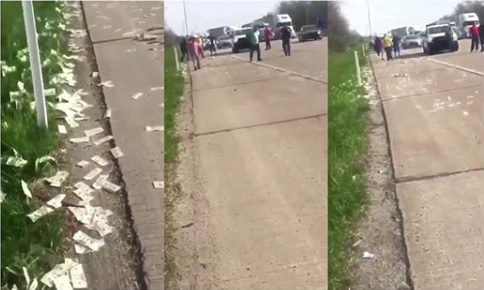 "Bags of money were falling out of the back onto the interstate," Indiana State Police Corporal Brock McCooe told Fox 8. "Sort of something out of a movie scene, where you have bills, loose bills flying all over the interstate, vehicles stopping, people getting out of their cars." Residents of the adjacent neighbourhood also reportedly scaled a highway fence to grab money. While it sounds like a chance of a lifetime to earn a quick buck or entire bag of cash on the way to work, these ‘lucky’ commuters could be in for a rude awakening. That money comes with a price, since taking it is technically theft. It was gathered that troopers were looking for anyone who stopped to pick up money, saying these individuals can be "charged with theft." The police department said it is already receiving tips with license plate numbers. He advised that drivers who stopped to collect money contact the Indiana State Police in order to return the bills.